The Robert Dunbar is a 'red hot' blues machine. 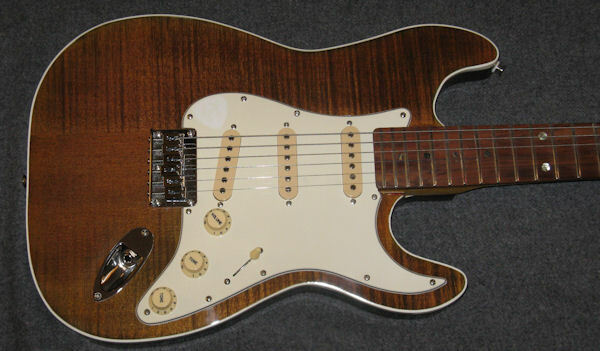 It has a 2-piece alder body with a bound, book-matched flamed maple top. Its quarter-sawn rock maple neck, with pao ferro, 12" radius fingerboard, and highly polished super-jumbo Dunlop frets, makes it ideal for string bending. 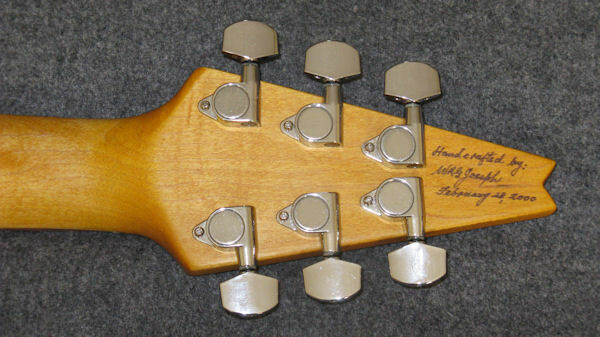 The wide, thin neck has a very low string action and has been built for speed. The 3 DiMarzio single-coil pickups deliver a variety of warm, sweet vintage tones, which enhance the overall quality of this great instrument. This one is a real knock-out and is a joy to play. Two-piece Alder or Swamp Ash body with highly figured maple top. Flamed maple or rock maple neck with 2-way adjustable 'Hot Rod' truss rod. Pao ferro (South American) or bocote fretboard. 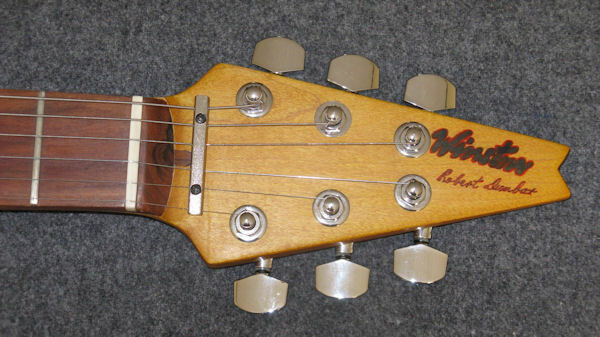 Hardtail (non-tremolo), chrome-plated brass bridge with fully adjustable saddles. Grover Rotomatic or Mini Rotomatic machine heads with 14:1 gear ratio.